Before I begin to tell you about Marquee nightclub in Las Vegas you should understand that the Cosmopolitan Hotel is the hot spot on the strip right now. That makes Marquee Nightclub the hot nightclub in Las Vegas. That means people want to experience a Las Vegas nightclub that everyone else also wants to experience. In other words, Marquee Nightclub at the Cosmopolitan Hotel in Las Vegas is the hot nightclub in town so be prepared to deal with a lot of other people who really want to have a good time. 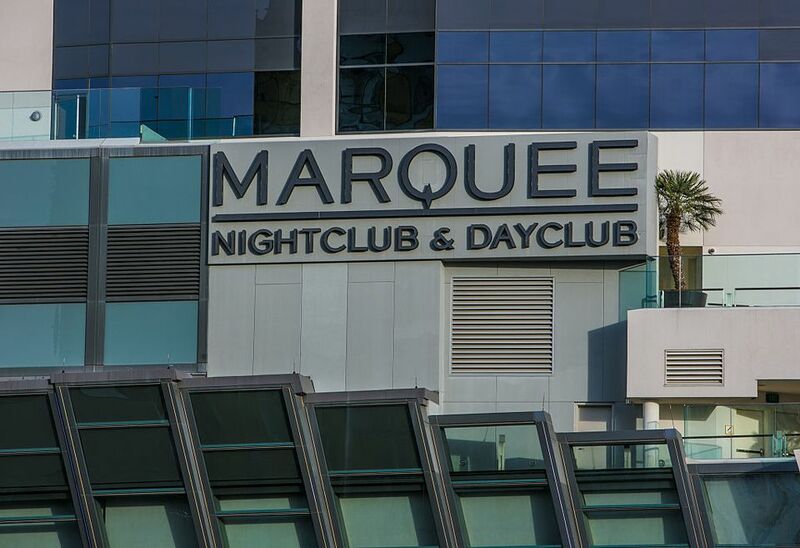 If you are into a big party in Las Vegas with a lot of people you will love Marquee Nightclub. If you thought you wanted to go out and have a few drinks and sit around and chat, you’ll need to find another spot on the Las Vegas strip. It isn’t happening at Marquee, you come ready to step onto a crowded dance floor and work your way through a crowded bar. This is what the hot clubs look like. Have you been to an empty nightclub before? They are not that fun, it’s like you decided to get to a party super early after everyone else canceled. When the music is pumping through the dance floor and the crowd is thick with energy it’s like you are in another world. There is a rhythm you feel as everyone around you is currently doing the exact same thing while ignoring anything that resembles responsibility. It’s precisely why you go to a Las Vegas nightclub. If you like the high energy, crowded feeling of a nightclub, stay in the main room. I like the library where there is a bit more of a comfortable quaint feeling. It’s still packed with people but there is more wiggle room. The boom box allows you another facet of the Marquee nightclub experience. Dress Code at Marquee Nightclub Las Vegas: Look good. Do not under any circumstance think it’s ok to wear flip flops or those Air Jordans you picked up at a yard sale that make you feel all retro. You'll be outside all night. Please listen to me when I tell you that you have to get to the club early. It will save you some time when the line gets crazy long. If you have a reservation, don’t miss it or you’ll be waiting. It’s worth it once you get in but understand the reason you decided on Marquee is because it’s the place to be so everyone else has the same idea. Marquee is a large nightclub but they have plenty of people coming in so if you do not have a table, make sure to find a spot that gives you some space. If you are in to see a headlining DJ just know that if you want to dance by the stage you better get there early because it will be tough to get there once the crowd fills in.